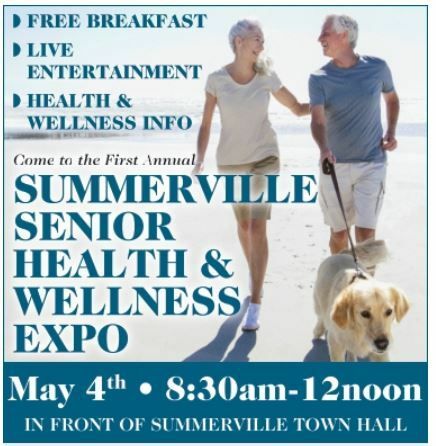 Summerville Senior Health and Wellness Expo is sponsored by Vistelan Home Care and the Summerville Journal Scene. Ticket good for one free breakfast at the Expo. Breakfast is provided by Panera Bread and the Donut Connection. Expo booths are open from 8:30 - noon. Senior Idol Competition from 10:30 - noon. Free Breakfast for seniors provided by Panera Bread and the Donut Connection who have registered for tickets in advance.